This entry was posted in Bess, Popular Science Monthly and tagged articles, ball and chain, beatrice, bess, bess houdini, bessie, clippings, equality, escapes, houdini, mentions, mrs h, mrs houdini, newspapers, oregon boot, photos, public relations, publicity. Bookmark the permalink. Great stuff, Tom! 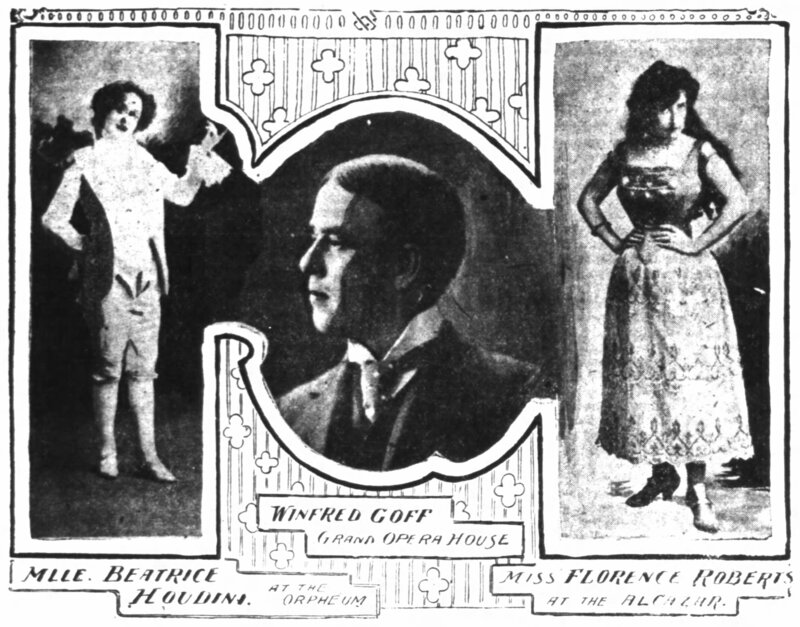 That clipping can also be seen on page 56 of ‘Houdini His Legend and His Magic’ by Doug Henning, except it is very small and very poor quality, Bess is barely visible. I’ve always wanted to see it in better quality, and here you have it! It a great shot of her. Thanks, John. Yeah, I was really psyched to find it. As for the Henning book, I must have gone through that 100 times by now and yet somehow didn’t remember seeing that! Thanks for letting me know! I’ll post an update. Great stuff Tom! Although I don’t think Bess’s face turned out well in that newspaper photo. Thanks for posting info, photos and illustrations of the Oregon Boot. I’ve read about it in HH bios but never seen one and I’ve been Wild About Harry since 1976. Hi Leo. Thanks! Yeah, I wish there was a clearer photo of Bess. I also hadn’t seen the Oregon boot until I dug up those images. It’s so fun to come across these things.